Check out some of the gear only available for PS3 and PS4 players. Great news, Destiny fans on Xbox One – here’s some more gear that you can’t be bothered about in an event you don’t want to grind that will only be accessible for PlayStation players. According to the latest Bungie Weekly Update, Iron Banner will be coming back on December 29th and it will bring both your usual gear along with items that only PS3 and PS4 players can earn. 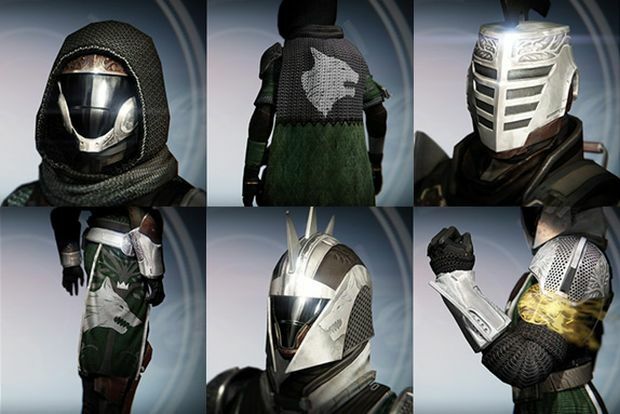 You can check out the above image to see those rewards…which honestly don’t look good at all compared to the base Iron Banner gear. But hey, at least there’s a chance for +300 Light gear. As per Bungie, you’ll be able to unlock boots at rank 3 from Lord Saladin, helmets and auto rifles at rank 4 and shotguns from rank 5. For post-match drops, you can obtani the helmet if you’re at rank 2, class items and auto rifles at rank 3 and the shotgun at rank 4. Will you be taking part in Iron Banner when it returns on December 29th? Let us know in the comments.